Published in the Yakima Herald online Jan 23, 2019. YAKIMA, Wash. — A wine’s color is its most recognizable characteristic. Red wine comes from red grapes. White wine almost always comes from white grapes. But did you know that red wine grapes have clear juice? Color comes from the wine’s contact with grape skins during fermentation. While the skins are soaking in the juice, they are staining the wine. The amount of skin contact (time the skins have with the juice), impacts the color of the wine. For instance, rosé has limited skin contact, creating a lighter color. February is the month we embrace the color red. Valentine’s Day and Red Wine & Chocolate weekend include greeting cards, chocolate and wine — all wrapped in various shades of red. 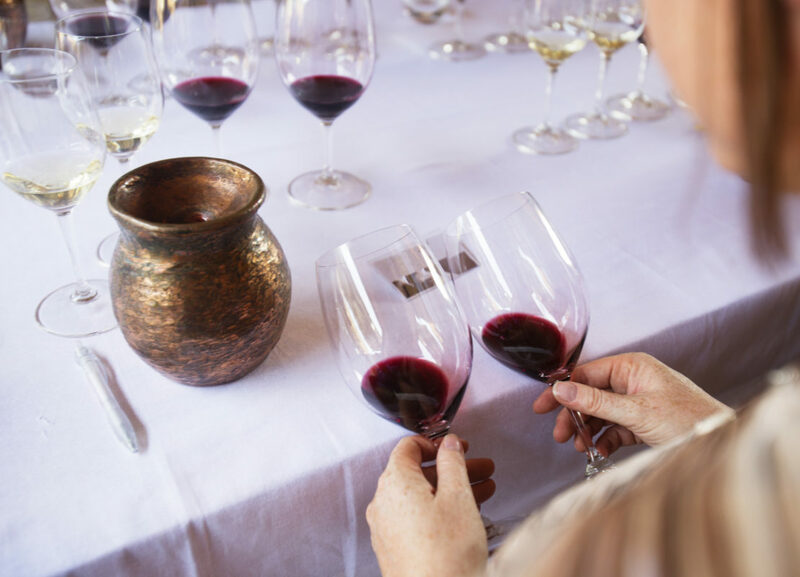 If your Valentine plans include a bottle of wine or a tasting excursion during the event weekend, here are a few pointers on what the color in your glass is telling you.